When we talk about creativity, it indeed has no end. Likewise nail trends they do not seem to take rest. 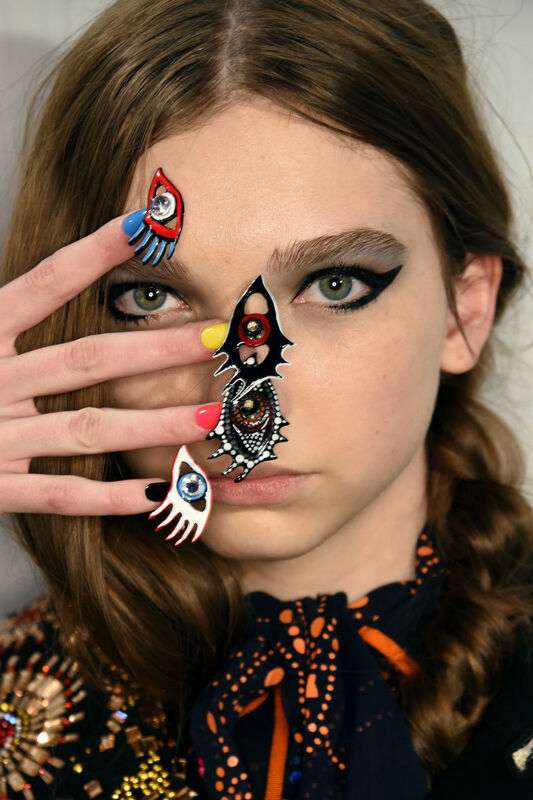 We daily get acquainted with new nail trends and its just never enough of them. We have with us some of these insanely awesome trends that we saw this year on social media and we are literally obsessed. These furry nails so good to wear in winters, it just works as an accessory to give your style an edgy statement. These cute pom-pom balls accessorized on the top of the nail paint makes it look like a fairytale inspired style. This nail art is too bold and symbolic to carry. This prism effect nail art makes us nostalgic. This actually reminds us of the Met Gala where Kim Kardashian wore something of this sort. Plane metallic nail art, never out of trend. This minimalistic metallic nail art is the best example of opposites combined together. Everybody’s favorite houseplants—succulents. This is the best nail art tremd so far. These greener baby succulents make a good accessory for this kind of nail art. GOLDBAR #goldbarnail ??? #24knail ??? ?